The FS400s are Panasonic’s entry level TVs for 2018. As such, you won’t be surprised to learn that both the 32-inch and 40-inch models feature HD resolutions rather than 4K ones. The 40-inch set carries a full HD pixel count of 1920x1080, while the 32-inch model is ‘HD Ready’ meaning it has a pixel count of 1366x768. Both FS400 models do, however, feature support for high dynamic range pictures, which is the first time Panasonic has offered HDR on an HD TV. It must be stressed that as budget TVs they won’t have the brightness or color range to deliver anything like a ‘full fat’ HDR experience. But as the HDR support is seemingly being provided free of charge, we guess it might as well be there than not! Do note, though, that the HDR support only covers the industry standard HDR10 format. Unlike Panasonic’s 4K TVs, the FS400 models do not additionally support the broadcast-friendly HLG HDR platform. The FS400’s design is a little cheap and cheerful. 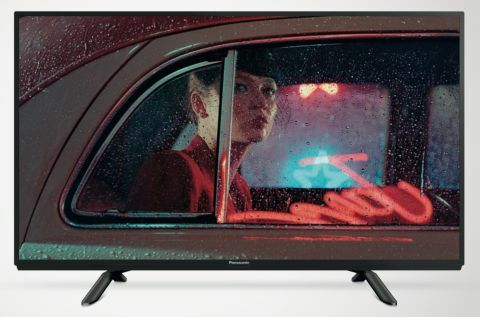 Its frame is slightly chunkier than those wrapped around most modern TVs, and the two supporting feet look a little drab compared with the much shinier, more obviously metallic appearance of the desktop stands you get higher up Panasonic’s 2018 range. The FS400s’ screens are reasonably well built for an entry-level model, though. Surprisingly given its place in Panasonic’s 2018 range, the FS400 carries a fully-fledged smart TV system in the shape of My Home Screen 3.0. This proprietary Panasonic system is one of the simplest and most attractive smart interfaces around, thanks to its straightforward ‘deck’ structure for separating different source types and the way it makes it exceptionally easy to set up your own custom home screen with just your favorite app links on it. There’s plenty of online content choice available on My Home Screen 3.0 too, including Netflix, Amazon, YouTube and catch-up TV services depending on which region you’re in. You can also easily share content stored on your mobile phone or tablet computer with the TV simply by using the excellent ‘swipe and share’ feature of the Panasonic TV app. Aside from the HDR support mentioned earlier, the FS400 TVs have two main further picture features. One is their pseudo 600Hz motion clarity, achieved through a combination of backlight blinking and frame interpolation applied to a native 50Hz panel. The other is adaptive backlight dimming, which adjusts the overall light levels output by the edge-mounted LED lights to suit the needs of the picture. There is, though, no local dimming, where different sections of the LEDs can be made to output individual levels of light at any given moment. The FS400’s connections chiefly comprise two HDMIs, plus two USB ports for either playing back photo/music/movie media from USB storage devices, or recording from the built-in Freeview HD tuner to a USB hard drive. Pricing for the FS400 models has yet to be confirmed. However, even with the addition of HDR this time round, we wouldn’t be surprised if they end up at somewhere around the £470/$650/AUS$833 and £330/$460/AUS$585 launch prices attached to 2017’s equivalent ES400 models.